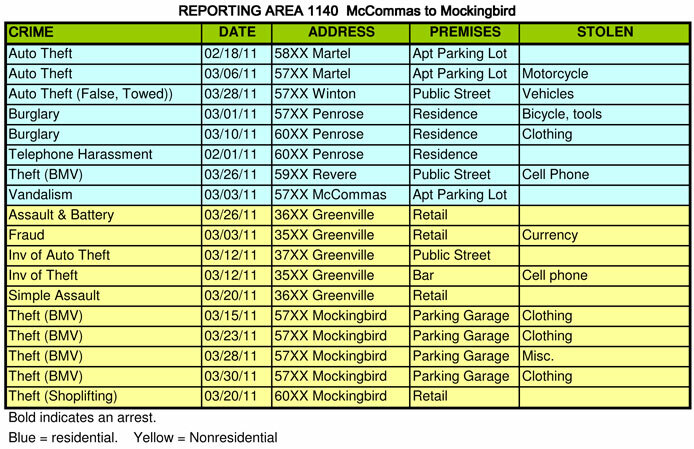 Crime reports for March are below. Please read the story about the robberies on Prospect, especially if you live in that area. Generally speaking we were about average on our crime reports for the month. 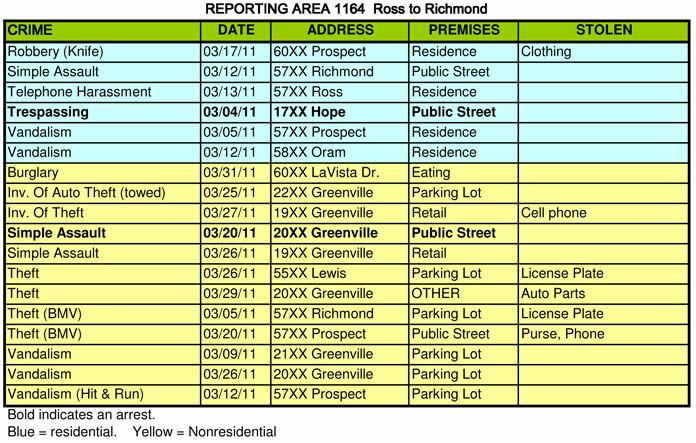 The total incidents appears a little higher due to several “non-crime” reports. 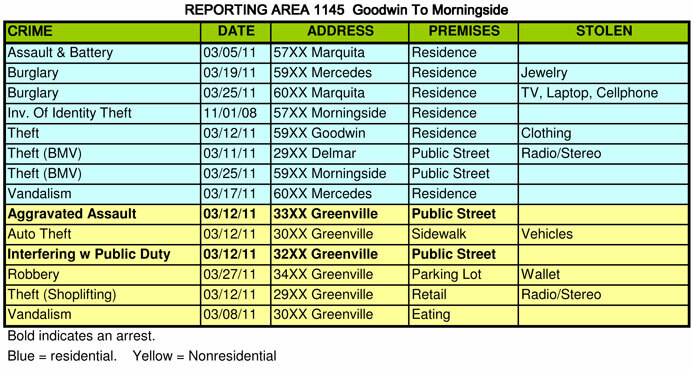 (Cars reported stolen that had actually been lost or towed, etc.) However, spring is upon us and the bad guys will be coming out again for the summer. There were two robberies reported on Prospect in the last couple of weeks. On March 17, a woman was returning from the grocery store and was robbed on her front porch in the 6000 block. She reported seeing a black male jogging along the sidewalk. He was described as 6’2″, 190lbs, 25 years, wearing maroon shorts. He attacked her at the front door. She did not see the weapon involved, but she received a large 3 inch gash on her arm that required medical attention and appeared to have been caused by a razor blade. The suspect grabbed her purse and fled to a small light colored sedan parked a few houses down. In a second incident on April 8, a suspect robbed a man at gunpoint in the 5800 block. This suspect also fled the location in a white sedan. There is some similarity in the dsecription of the suspect in both cases but its too early to tell if it was the same bad guy. Police have recovered video evidence from retail stores where the stolen credit cards were used. Once they’ve had a chance to review this it may lead to more information on whether this was the same person. In any event, please be aware of your surroundings, even on your own property. There were two reports of stolen license plates this month. As we’ve seen in the past, stolen license plates are often used to cover the tracks of other criminal behaviour. Last year a stolen plate was put on a stolen car which was used by a serial burglar to drive around the neighborhood breaking into houses. Although may seem like a trivial crime, it is usually indicative of something much larger. If this happens to you, please report it. We will be meeting with DPD and event organizers this Thursday. We asked for your comments back on it a few weeks ago, but received very little feedback. If you have any concerns you would like to relay, please send them in soon so that we can relay them to DPD. Email to Pat Carr at director1@lgna.net.